The original Magic Mike film, from 2012, was notorious for the amount of hot men it featured – all placed in the exciting world of male stripping. 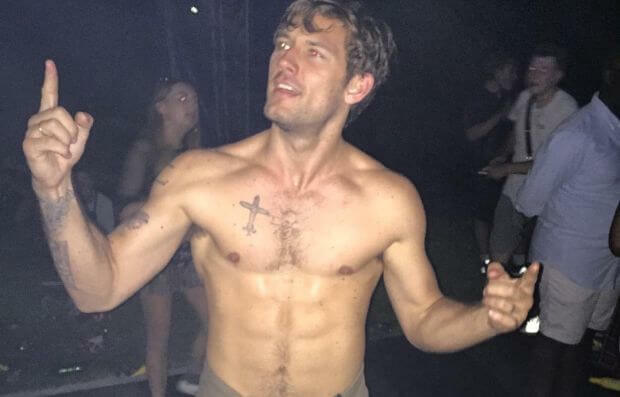 One of those men was Alex Pettyfer – but he wasn’t back for the 2015 sequel, Magic Mike XXL. In a new Instagram post, Alex jokes about a possible reason for not being in the sequel, and it involves his belly… and a thong. Magic Mike was based on the real life experiences of Channing Tatum who worked as a stripper before becoming an actor. Other than Tatum, the film starred Matt Bomer, Joe Manganiello, Matthew McConaughey and Alex Pettyfer. Yesterday, Alex took to Instagram to show the movie’s poster, wondering whether… wait for it… he has “a belly” in the poster. He also added a hashtag saying “I think one movie in a thong is enough”.